The documentary has been the most important form of moving images made in the global circumpolar Arctic since the early 1900s, when all-male polar and anthropological expeditions brought cameras north to depict supposedly heroic feats of land-claiming exploration and the Indigenous populations they encountered. Many of those early documentaries, as well as later classics such as Robert Flaherty’s Nanook of the North (USA, 1922), focused on extreme environments and exoticized and infantilized Indigenous populations. These colonial and patriarchal stereotypes influenced documentary depictions of the North for generations. A number of recent documentaries by Indigenous women take radically different approaches. Filmmakers such as Alethea Arnaquq-Baril (Nunavut), Liselotte Wajstedt (Sápmi), Britt Kramvig (Sápmi), Aka Hansen (Greenland), Pipaluk Knudsen-Ostermann (Greenland), and Eva Belova (Russia) instead foreground women as politically activist spokespeople that emphasize a contemporary complexity of lived experiences in Northern environments. These filmmakers protest the ways in which outsiders’ resource extraction, pollution, and use of Indigenous lands have negatively impacted the social fabric of communities, while demonstrating that in the 21st Century, the Arctic is globally interconnected. Arnaquq-Baril’s documentary Angry Inuk (Canada, 2016), combining traditional documentary modes with animation, spans nearly a decade, starting in 2008 just before an EU vote on the seal hunt, and ends in 2015, after an Inuit-originating lawsuit against the EU has been turned down and the complete ban on any commercial trade in seal products upheld. Angry Inuk argues that for Nunavut’s coastal Indigenous communities to survive, they must be able to run an ecologically sustainable global trade of seal skins. Otherwise, they may be forced to accept mining or other disruptive extraction, detrimental to both communities and environments. The economic factor is important as the cost of living is exponentially high in the Arctic and seal skins must be used as a means of commodity exchange. Moreover, the Inuit entering the global marketplace encounter old racist notions, as if money or capital were not needed in the far North. Angry Inuk foregrounds women’s roles as spokespeople for the Inuit in cultural, political, and economic matters. Arnaquq-Baril’s voice also functions as a counterpoint to the many white animal rights activists -- a majority of them women -- who self-silence and will not defend their views publicly in the face of a critically engaged Indigenous woman. Wajstedt’s Kiruna Space Road (Sweden, 2013) is an experimental documentary addressing the destructive effects of large-scale mining on Indigenous lands. Documenting Wajstedt’s return from Stockholm to her home-town Giron [Kiruna], the film presents a self-reflexive, first person account of the forced move of the city center three km eastward, as the LKAB mining operation expands relentlessly underneath it. The interplay between activities underground, in the bowels of a beautiful valley that is also marked by a century of iron ore mining operations, and the tracing of memories seemingly lost in the dark recesses of the filmmaker’s mind, provide a compelling pair of conceptual vantage points: both the material and the psychological are shown to be split and bifurcated. Thematic and aesthetic hybridization is key to Wajstedt’s depiction of environments and Sápmi. Kiruna Space-Road is, in part, an ‘animated documentary’, often considered a newly developed hybrid, but which can be traced back to the beginnings of cinema: the two forms have a long, entangled history. Wajstedt’s use of animation -- cell animation, superimposition, computer animation, stop-motion and claymation -- functions in a number of interweaving ways. Superimposed images of flying birds denote the Sámi history of the area and the naming of the mountain ranges. The aesthetic use of superimposition serves to put past and present in the same frame. Animation allows for a process of defamiliarization of the realist aesthetic so often dominant in Arctic documentary cinema and resource extraction films. Wajstedt’s film is as much a work of memory and memorialization -- both of Giron and of her childhood -- as it is a straight documentary about the events surrounding the town perched atop the mine. Ann Holmgren’s short Volcano (Sweden, 2017) parallels Kiruna Space-Road. The meditative monochromatic docudrama is described by the filmmaker as an “existential Road movie.” Volcano depicts loss of hope and a search for meaning. Edith, a Kiruna teenager, wanders through the town asking questions about life’s meanings. In conversations with residents -- based on interviews -- and her observations, she absorbs their fears and hopes for the future, with the cityscape behind her as an allegorical statement about the destruction of the city they call home. While the ever-present mine is addressed, the upcoming migration never is, though parts of the city look already abandoned. Her journey is one of both discovery and loss --a search for identity -- and like Wajstedt’s film, tries to seam together cracks in the surface of both Edith and her community. Volcano ends with Edith seemingly walking out of the city. These three films, all in this year’s AMIFF program, offer insight into a quickly growing body of works at the intersections of Arctic activist documentary, first person experimental narrative, and environmental awareness made by Arctic women Indigenous filmmakers. These works challenge patriarchal narratives of the Arctic, and in so doing, create new forms of feminist filmmaking that decenter the figure of the White male in the Arctic, allowing new spaces and voices to emerge. These works represent the profound heterogeneity that has always been central to any conceptualization of the Arctic, which nonetheless has more often than not been projected as an image of homogeneity, leaving women and Indigenous peoples out of the representational equation. Filmskaperen er til stede for samtale etter visning med filmskaper og rektor ved Nordland Kunst og Filmfagskole, Katja Eyde Jacobsen. Pil og Bue, som er en hybrid av dokumentar og fiksjon, er den første spillefilmen til Camilla Figenschou. Filmens handling finner sted på en faktisk lokasjon og i et faktisk miljø, et hestesenter i naturskjønne omgivelser i Bø i Vesterålen i Nord-Norge. Der møter vi en gruppe mennesker arbeider med hester og gårdsdrift i et forsøk på å legge en problematisk fortid bak seg. På senteret finnes det en filosofi om at samvær med hester er helende og selvutviklende for folk. Inn i dette fellesskapet kommer en kvinne, som i motsetning til de øvrige personene på lerretet er spilt av en profesjonell skuespiller, og det er gjennom hennes øyne vi får ta del i denne særegne behandlingsformen. Med et følsomt blikk forfører filmen betrakter inn i en sensorisk tilstedeværelse på gården, med dyrene og folkene der. Med naturlig lys, amatørskuespillere, fokus på stemninger, landskap og sted heller enn en sterk narrativ og karakterdreven handling, samt et rolig og dvelende tempo, innskriver filmskaperen seg i en tendens innen samtidsfilmen der stemning og øyeblikk råder over plot. Filmen utfordrer våre forventinger til en klar og tydelig hovedrolle vi kan sympatisere og identifisere oss med, ved å gi likevektig oppmerksomhet til alle filmens karakterer, så vel som dyr, landskap, steminger og øyeblikk. Camilla Figenschou er en norsk kunstner og filmskaper med mastergrad i kunst fra kunsthøgskolen Konstfack i Stockholm, som også har studert film i Buenos Aires og ved Nordland kunst- og filmfagskole. Figenschou har tidligere regissert to kortfilmer. Å åpne, å se (2012) ble vist ved en rekke festivaler i inn- og utland og ble tildelt Terje Vigen-prisen på Kortfilmfestivalen i 2012.
sensory experience of the place and the people. Kim J. Olsen i Den 12. Mann. Foto: Petter Skafle Henriksen. This event will be in Norwegian only. Billett inkluderer presentasjon og filmen Ni Liv. Kim J. Olsen, født og oppvokst i Harstad, kommer til AMIFF på søndag 22.oktober, for å snakke om sin rolle i og innspillingen av den kommende norske dramafilmen Den 12. mann, regissert av Harald Zwart og skrevet av Petter Skavlan, om Jan Baalsruds utrolig flukt fra tyskerne under krigen i den harde og ugjestmilde nordnorske vinteren i Troms. Filmen er spilt inn i nord-Troms, og noen scener er spilt inn der det faktisk skjedde. Den 12. mann kommer først på kino 25. desember og på AMIFF får du muligheten til å se eksklusive klipp fra filmen, presentert av Kim J Olsen og assistentregissør Petter Holmsen. Den 12. mann (2017) er en nyinnspilling av klassikeren Ni Liv fra 1957. Ni Liv vil vises etter presentasjonen av Den 12. mann. Troms 1943. Tolv sabotører på en fiskeskøyte overraskes av tyske soldater. Elleve mann blir torturert og drept, bare den tolvte klarer å slippe unna. Skutt i foten, gjennomvåt ogmed hundre meters forsprang flykter Jan Baalsrud ut i den nådeløse, nordnorske vinteren med Gestapo i hælene - helt uvitende om at hans ukuelige vilje til å overleve snart vil gjøre ham til et symbol for den norske motstandsbevegelsen. Et symbol menneskene han møter er villige til å dø for. Jan Baalsruds to måneder lange flukt regnes fortsatt som en av de mest utrolige overlevelseshistoriene fra andre verdenskrig (Kilde: Filmweb). Ni liv er en norsk film fra 1957, regissert av Arne Skouen med Jack Fjeldstad i rollen som Jan Baalsrud og Henny Moan, fra Narvik og Gratangen, i rollen som Agnes. Filmen skildrer Jan Baalsruds eventyrlige og dramatiske flukt fra tyskerne etter en mislykket sabotasjeaksjon i Troms, fra de ytterste holmene i øygarden utenfor Tromsø og over fjellene inn til Sverige ogfriheten. Filmen er basert på boken Ni liv, historien om Jan Baalsrud av David Howarth. Med Marcel Carné som sitt store forbilde, favoriserte Skouen ensomme karakterer som sliter med sin utilstrekkelighet, dette særlig i hans fire 2. verdenskrigs dramaer. Filmens skarpe minimalistiske bilder, gjør isen, kulden, ensomheten og fortvilelsen til å ta og føle på, der Baalsrud, fanget i snøen blir tvunget til å kutte av sine forfryste tær mens og holdes såvidt i live av modige landsmenn. Filmen vakte stor oppmerksomhet i utlandet og ble nominert til Oscar for beste utenlandske film i 1957. To ganger har den blitt kåret til tidenes beste norske film: I 1991 av det norske kinopublikum og under BIFF i 2005 av fagjuryen (Kilder: Filmweb, NFI og BFI). Billett inkluderer både presentasjon av Den 12. mann og filmen Ni Liv. Regi: Arne Skouen. År: Norge/1957 Språk: Norsk Spilletid: 99 min. Høsten 2015 samlet en gjeng med arktiske filmskapere seg i Toronto for å skape et felles tema for et kortfilmprosjekt. De skrev, regisserte og produserte hver sin kortfilm baserte på en kollektiv visjon: En kvinne reiser ut i den enorme og uforsonlige villmarken på jakt etter sin søster som har blitt forvist for en uaktsom handling som resulterte i tragedie. The Last Walk ble muliggjort og finansiert av International Sami Film Institute og Nunavut Film Development Corporation. Regi: Pipaluk K. Jørgensen (Inuk), Anna Hoover (Unangax̂) og Jerri Thrasher (Inuvialuit). År: Canada, USA, Alaska, Grønland/ 2017. Spilletid: 42: min. Filmprogrammer med tekst i årets trykte program av professor og filmviter Anna Stenport og Scott McKenzie, om arktiske kvinner i film og bevegelige bilder fra Norge, Sverige, Finland, Grønland og Island. Stenport er ekspert på arktisk og nordisk film- og medievitenskap, og har publisert mye om disse temaene i tidsskrifter. Hennes bøker inkluderer den banebrytende Films on Ice: Cinemas of the Arctic (Edinburgh UP, 2015; co-ed m / Scott MacKenzie), den første omfattende undersøkelse av filmproduksjon i det globale sirkumpolare nord fra 1896 til i dag. Hun arbeider for tiden med “Arctic Women Film Pioneers” (w/ Mariah Larsson), som vi ser på av spesiell interesse i denne sammenheng. Ved å invitere kvinnelige kunstnere og filmskapere med sterk stemmer og uttrykk fra ulike generasjoner, land og ståsteder, og med ulike arbeidsmetoder og tilnærming til filmmediet, søker vi å bidra til en sterkere bevissthet omkring kvinnelig representasjon og perspektiv i arktisk og nordisk film, gjennom historien og i dag. På den måten søker vi å bidra til det felles prosjektet som foregår i de nordiske landene i dag, å omskrive filmhistorien for nordisk film. The Arctic Film Circle film collective The Last Walk was conceived of and sponsored by the International Sami Film Institute and Nunavut Film Development Corporation. In the Fall of 2015, indigenous filmmakers gathered in Toronto to workshop a common theme for the subject of a series of short films. They each wrote, directed and produced a short film based on their collective vision. A sister sets out into the unforgiving land to find her sister, who has been banished from their community for negligence that ended tragically. The banished sister has battled depression since the great loss, causing her to isolate herself from her community. Knowing her sister lacks the skills to survive on her own, the sister attempts to forgive her and bring her home to continue their lives. challenge and does not shy away from adventure. Jerri Thrasher is from the small Arctic Ocean community of Paulatuk, Northwest Territories, Canada. Raised by her mother Anne, who was a school teacher, they lived all over the Northwest Territories. Younger years, Jerri found a passion for capturing Inuvialuit life on camera, this ultimately led to a passion for Photography and Film. However, coming from a community of 350 people, opportunities in the Creative were non-existent. Jerri bypassed formal film education and started off as a self-reliant and self-taught filmmaker, and so began creating opportunities through documenting Inuvialuit culture. This eventually led to a career in producing Inuvialuit Television content for Canada’s North through The Inuvialuit Communications Society. 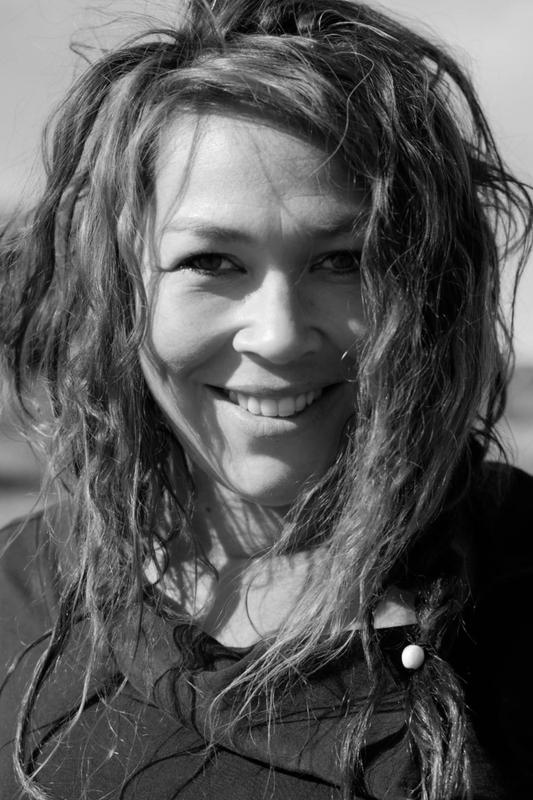 Although her work is primarily television, Jerri joined the Arctic Film Circle in 2015 which is an alliance of circumpolar filmmakers from across the North. Here, The Arctic Film Circle presented an opportunity for her to debut as a Film/Drama/Fiction Director. The alliance produced a film called The Last Walk, which is a collective project based on a common indigenous script theme. The Last Walk showcases the different cultures and regions of our Arctic in a beautiful short-film series. Jerri is 28 and lives in Inuvik, Northwest Territories, Canada. Nordlyset har til alle tider fascinert menneskene. Det er omspunnet med myter og har vært forsket på i hundrevis av år. Prestisjen med å løse nordlysets gåte har vært stor, og i 1896 presenterte den norske vitenskapsmannen Kristian Birkeland (1867-1917) den oppsiktsvekkende teorien om at nordlyset har sin opprinnelse i den elektromagnetiske solenergien og dens innflytelse på jorden. Birkeland ble underkjent og misforstått av sin samtid, og fikk først anerkjennelse for sin teori av NASA da de på 1960–tallet kunne se hvordan støvpartikler fra sola dannet nordlys over polområdene, 50 år etter sin død. Nordlysets gåte er beretningen om Kristian Birkelands korte og innholdsrike liv, der både suksess og tragedie dominerte. Produsent Mona Steffensen er til stede under visningen og presenterer filmen. «Arktiske kvinner i film og bevegelige bilder»- Filmprogram med tekst av professor og filmviter Anna Stenport og Scott McKenzie, om arktiske kvinner i film og bevegelige bilder fra Norge, Sverige, Finland, Grønland og Island. Stenport er ekspert på arktisk og nordisk film- og medievitenskap, og har publisert mye om disse temaene i tidsskrifter. Hennes bøker inkluderer den banebrytende Films on Ice: Cinemas of the Arctic (Edinburgh UP, 2015; co-ed m / Scott MacKenzie), den første omfattende undersøkelse av filmproduksjon i det globale sirkumpolare nord fra 1896 til i dag. Hun arbeider for tiden med “Arctic Women Film Pioneers” (w/ Mariah Larsson), som vi ser på av spesiell interesse i denne sammenheng. Ved å invitere kvinnelige kunstnere og filmskapere med sterk stemmer og uttrykk fra ulike generasjoner, land og ståsteder, og med ulike arbeidsmetoder og tilnærming til filmmediet, søker vi å bidra til en sterkere bevissthet omkring kvinnelig representasjon og perspektiv i arktisk og nordisk film, gjennom historien og i dag. På den måten søker vi å bidra til det felles prosjektet som foregår i de nordiske landene i dag, å omskrive filmhistorien for nordisk film. Kiruna - Space Road (“Kiruna - Rymdvägen”), Liselotte Wajstedt, Sverige/Sapmi, 2013, 52 min og Work in progress - Liselotte Wajstedt, 2017, 15 min. Kiruna Space Road er en personlig og eksperimentell dokumentar om filmskaperens hjemby som skal rives med jorden. Historien er fortalt på to plan, den dokumentariske delen om hva som foregår i Kiruna i dag der hus rives ned og den animerte delen om minner fra barndommen i Kiruna ved gruvene. De stadig større sprekkene i overflaten beveger seg gjennom historien som en hjerterytme. Kiruna er gjennomgående i Liselottes kunsnterpraksis. Liselotte kommer til AMIFF for å snakke om dette fokuset samt at hun viser et work in progress. Liselotte er en filmskaper og kunstner, utdannet innen billedkunst og eksperimentell film med fokus på dokumentar. VULKAN, Ann Holmgren, Sverige/Sapmi, 2017, 20 min. En eksistensiell roadmovie til fots i et vinterkaldt Kiruna. Edith vil vite hvordan mennesker lager mening i livene sine og begir seg ut på vandring i sin hjemby for å spørre mennesker hun møter i sin hjemby Kiruna, om de vet hvem de er og andre eksistensielle spørsmål. Ann Holmgrens film er en tankevekkende skildring av hennes samtid og menneskene som bor og lever i og rundt gruvene i Kiruna. Byen som igjen skal flyttes og aldri har fast grunn. Filmen er basert på faktiske samtaler hun har hatt med mennesker i Kiruna. Ann Holmgren ble uteksaminert fra Den norska Filmskolen i 2008, med en visjon om å skape filmer med en særegen filmatisk stemme. Filmene beveger seg mellom ulike sjangere, som dokumentar, kunstfilm og musikkvideo, og hun lager film både for barn og voksne. På AMIFF viser vi også hennes serie med samiske filmer for de minste i serien Sanit. About "Arctic women in film and moving images"
This year´s focus on arctic women in film and moving images, consists of several film programs and an academic text in this year's printed program by professor Anna Stenport and Scott McKenzie, about Arctic women in films and moving images from Norway, Sweden, Finland, Greenland and Iceland. Stenport is an expert in arctic and nordic film and media studies, and has published a lot about these topics in journals. Her books include the groundbreaking Films on Ice: Cinemas of the Arctic (Edinburgh UP, 2015; Co-Ed with Scott MacKenzie), the first comprehensive survey of film production in the global circumpolar north from 1896 to today. She is currently working on "Arctic Women Film Pioneers" (w / Mariah Larsson), which we consider of particular interest in this regard. By inviting female artists and filmmakers with strong personal voices and expressions from different generations, countries and points of view, and with different working methods and approaches to the film medium, we seek to contribute to a stronger awareness of female representation and perspective in Arctic and Nordic films throughout history and today. In this way, we seek to contribute to the important project that takes place in the Nordic countries right now, to rewrite the film history of Nordic film. I denne prisvinnende dokumentaren ser Alethea fra Canada på seljakt, en viktig del av Innuit livet, og som lenge har vært kontroversielt. En ny generasjon av Innuiter er, med sosiale media og sin egen form for humor og rettferdighet, klare for å utfordre anti-selkampanjene, ved å bringe sine egen stemmer inn i debatten. Filmskaper Alethea Arnaquq-Baril slår seg sammen med Inuit aktivister som utfordrer utdaterte oppfatninger av Innuitene og presenterer seg selv som moderne mennesker, som er i akutt behov for en bærekraftig økonomi for å overleve. Filmen presenteres av Andreas Hoffmann i Arctic Culture Lab. Den er del av årets fokus på Arktiske kvinner i film og bevegelige bilder. In this stunning land of contrasts the Arctic Culture Lab strives for a multidisciplinary platform for the increasing artistic interest in the North. Here, in the heart of the mystical Sami-land, where for hundreds of years the sea close to the coast line offered a risky livelihood and the transportation route on water guaranteed an agile trade and natural cultural exchange between East and West, a unique coastal culture was developed. However, short is the way from the tradition, which is perfectly documented in the local museums and the remnants of the former Russian trade village Steinvag to the latter-day challenges the Arctic has to face in times of global warming and industrialization. 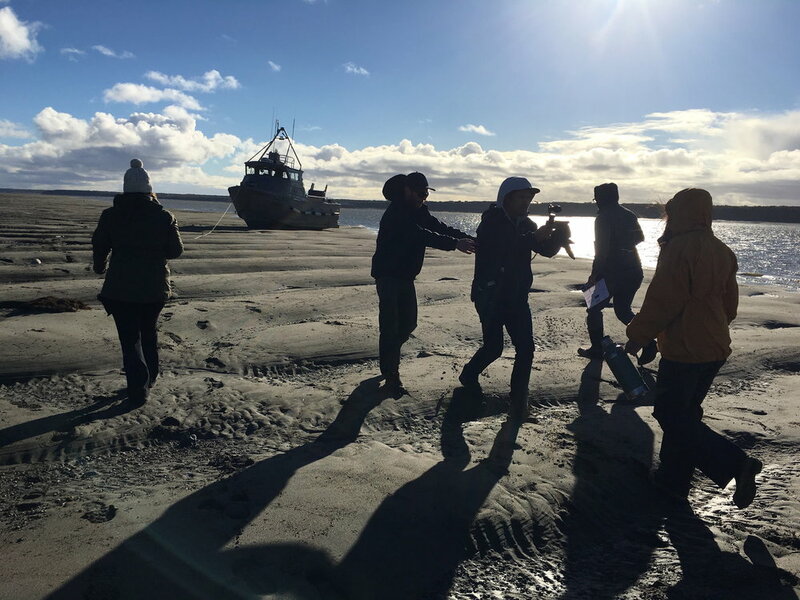 The Arctic Culture Lab takes this vulnerability of the traditional coast culture as an initial point for research, think tanks and invites to one-of-a kind art productions which try to reflect on Arctic topics through visits, residencies and exhibition projects. Anne Haugsgjerd var en av de første norske filmskaperne som brukte et mer personlig og eksperimentelt språk, og som lagde hybrider av dokumentar og fiksjon på 80-tallet. De tre filmskaperne i dette programmet representerer alle et personlig, friskt, eget og intenst språk med en humoristisk brodd, fra ulike tider, aldre og settinger, sentrert rundt kvinnelige hovedroller i dialog, disharmoni og konflikt med sine omgivelser, andre kvinner, livsstiler og sitt indre selv. De tre kvinnenes indre stemme gjør seg tydelig utslag i filmenes mise-en-scene, kamerabevegelser og rytme. Landskapene og settingene, være seg en leilighet i Oslo på 80-tallet, det samtidige Oslo eller et moderne utopisk studio på en øde øy, er alle farget av karakterens indre, og fremstår fremmedgjørende, truende og marerittaktige. Programmet er kuratert av Helene Eggen, og filmene vil innledes av henne. Filmskaperne deltar i en samtale etter filmene. Livet på Frogner er en metafilm om det å lage film. I filmen møter vi en kvinne som skal skrive et filmmanus om bydelen hun bor i, og ikke får det til. Hun er splittet og klarer ikke å bestemme seg for hva hun vil fortelle. Fantasiene tar overhånd. Ønsket om å være til stede der hvor noe skjer får henne til å spørre: skulle du ikke ha hatt kamera og oppsøkt det livet som er utenfor vinduet ditt i stedet for å skrive det? Eller kanskje skulle du ha levd i det livet og ikke laget film i det hele tatt? Kortfilmen Retrett handler om den sannhetssøkendebevegelseskunstneren Gritt (35) som etter noen intense årog diverse nederlag i utlandet, befinner seg på scratsj i Oslo. Vi følger Gritt i situasjoner i hennes nye hverdag hvor hun kjemper med å få fotfestet, og via hennes voice får vi innblikk i et sinn som utrettelig forsøker skape mening av den fremmede tilværelsen igjennom poetiske betraktninger, spastiske visjoner og potensielle kunstprosjekter. For langt inne bak skam og nederlag banker et håpefullt hjerte for et sant og poetisk liv i kunstens tjeneste. Filmen omhandler utenforskap, menneskeverd og vanskene med å bevare egen virkelighet i møte med det rådende, og portreterer en brysom kvinnetype sjeldent forundt på film. Itonje Søimer Guttormsen (f. 1979) er utdannet filmregissør fra Akademin Valand og Den norske filmskolen, og utforsker filmformatet fra ulike vinkler gjennom egen film- og scenekunstproduksjon, og som kunstnerisk leder for ByFlimmer. En ung kvinne ankommer et moderne, utopisk hus på en fjerntliggende øy for å komme litt vekk fra det hele. Alt hun har behov for er litt fred og ro, men stillheten avbrytes plutselig av en ubuden gjest: en kunstner, hvis akustiske lydinstallasjoner forstyrrer alt hva det nakne, tomme huset og naturskjønne stedet har å by på. Spenningen mellom de to kvinnene stiger, og under overflaten bygger det seg opp en voksende frustrasjon og et sinne. Midt i den ville naturen blir huset historiens tredje karakter - en labyrint der kontrasterende personligheter møtes og forskjellige livsformer og forventninger kolliderer. Elsa Maria Jakobsdóttir er den første islandske kvinnen som har fått opptak ved Danmarks nasjonale filmskole. Hennes første kortfilm Megafon (2013) vant beste islandsk kort på Northern Wave Festival og ble valgt ut til Nordisk Panoramas kortfilmkonkurranse. Anne Haugsgjerd was one of the first Norwegian filmmakers who used a more personal and experimental language, and made hybrids of documentary and fiction in the 80's. The three filmmakers in this program all represent a personal, fresh, and intense expression, with a humorous twist, from different times and settings, centered around female characters in dialogue, disharmony and conflict with their surroundings, other women, lifestyles and their inner self. The women's inner voices is clearly visible in the film's mise-en-scene, camera movements and rhythm. The landscapes and setting, being an apartment in Oslo in the 80's, contemporary Oslo or a modern utopian studio on a deserted island, are all colored by the nature of characters, and appear alarming, threatening and nightmarish. The roving Gritt (Birgitte Larsen) fights the exhausting battle of establishing her ideas into practice as a autodidact movement artist arriving the capital of the self acclaimed winners of the world lottery. We follow her during her first week in Oslo, and through her philosophical but rather dissociative voice we find a person with a huge gap between her inner and outer world. Retrett deals with alienation, dignity and courage of dreams in a poetic and humorous way, and shows a woman rarely portrayed in film. nature, the house becomes the third character of the story - a labyrinth in which contrasting personalities meet and differing lifestyles and expectations clash.